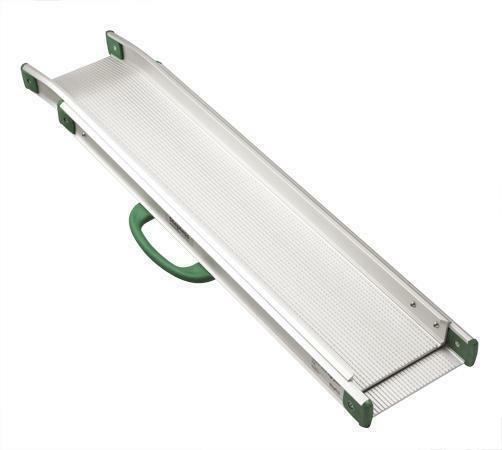 These aluminium telescopic ramps from Stepless™ by Guldmann enable you to use them in a variety of settings, as they can be used at different lengths; however they can be stored at their shortest length saving space. For full details download the Technical Specifications PDF. 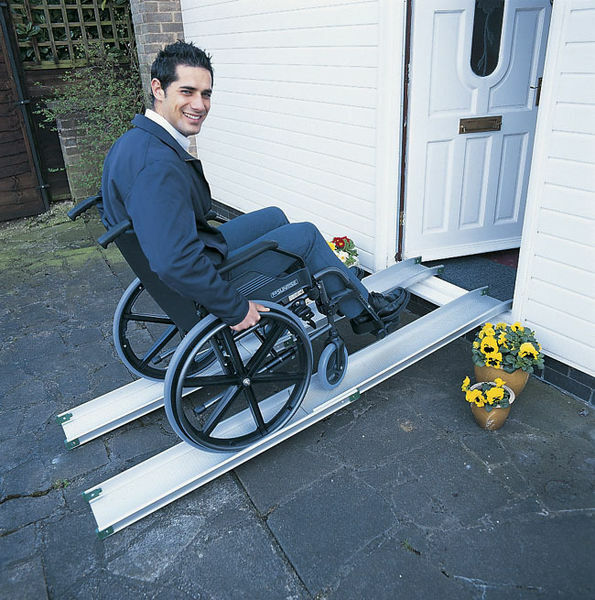 Channel ramps are ideal for use with manual wheelchairs, and tend to be easier to handle and lighter to carry than wider style (single piece) ramps- the ramp weight is shared between the two channel pieces. Channel ramps are less suitable for larged wheeled products such as powerchairs (electric wheelchairs) or scooters; users can find it difficult to align with two channel ramps as they mount them. In addition, powerchairs and scooters do not always have their front and back wheels in line with each other- they may be offset; this means some wheels can potentially catch the edges of the ramp. We recommend single piece (wide style) ramps for powerchairs and scooters- see options in our range such as suitcase ramps. If you meet the qualifying criteria then you are eligible for VAT relief on this product.